Putting Telehealth to work at your health center or medical practice. More medical practices are using it, and patients want it. An article in Forbes magazine predicts that telehealth visits will double by 2020. In the Telehealth Index 2015 Survey, 76% of patients said that access to healthcare services is more important to them than the need for human interactions with healthcare providers. In the same poll, 70% of patients say they are comfortable communicating with their healthcare providers via text, email or videos. 65% of patients surveyed are interested in seeing their PCP over video. Parents with children under 18 are even more likely to say they’re interested in telehealth. Partnering with Finger Lakes Community Health telehealth services. Why should you consider becoming a telehealth provider? Perhaps you’re a specialist who would like to build your practice by connecting to patients in rural communities. As an experienced provider of telehealth services, Finger Lakes Community Health can make that happen. We’ve been implementing telehealth for our patients for about ten years. In addition to patient benefits, we’ve seen significant cost savings and a better continuum of care. Patients save time and money by not having to travel, use gas, or take off additional time from work. Medical practices build strong relationships with collaborating providers, allowing the clinical team to be on the same page with a patient’s treatment plan. This also reduces the duplication of work. Telemedicine, It’s a No Brainer. 1 minute. What is Telemedicine. 2 minutes. 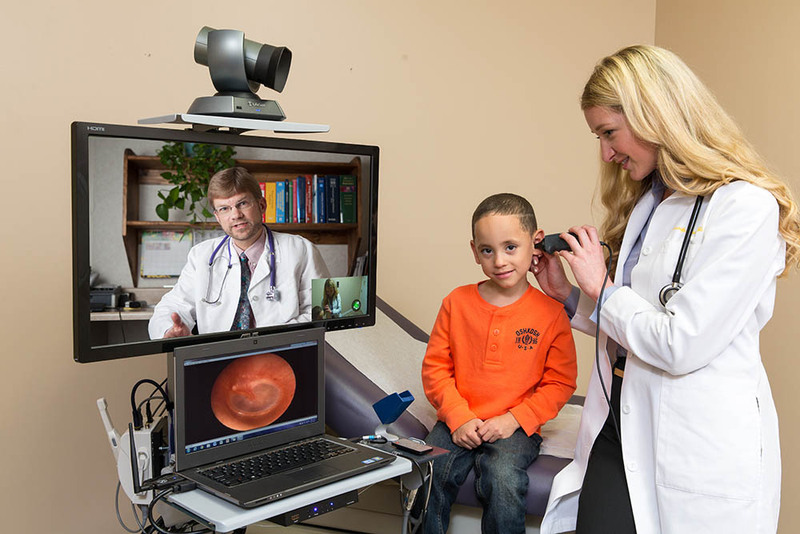 Doctors’ visits via Telehealth will double by 2020.